There was a complete havoc in the Kathmandu Airport on Monday, as a Nepal plane carrying 49 people were killed when it had approached the runaway from the wrong direction, which crashed and burst into flames when it was landing at the airport.This Nepal Plane crash was so severe that the accident happened in seconds. This flight had belonged to the US-Bangla Airlines, which was a Privately owned Bangladeshi carrier that was flying from Dhaka, Bangladesh. A total of 71 passengers were on the plane including the crew members said Kamrul Islam, who was the head of public relations. 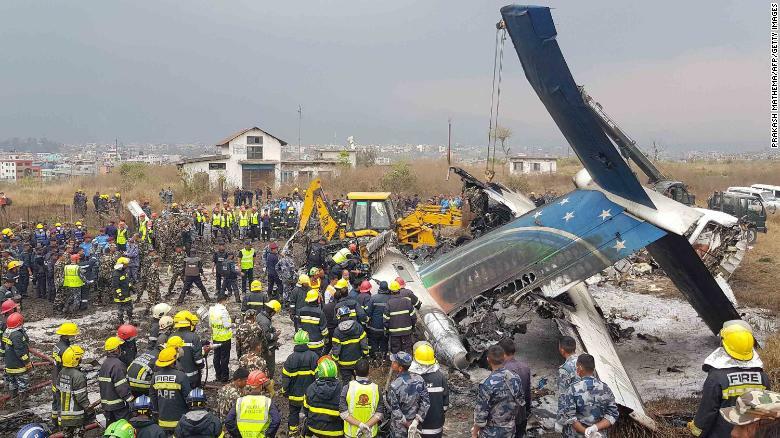 There were close to 40 bodies that were recovered at the scene, out of which nine had died and the remaining 22 sole survivors are going through treatment in the hospital after the Nepal crash today at 2:15 pm. The Nepal News had confirmed that the passengers that were travelling were Nepalese and Bangladeshi in which one was from China and the other was from the Maldives, whereas all the other crew members were from Bangladesh. 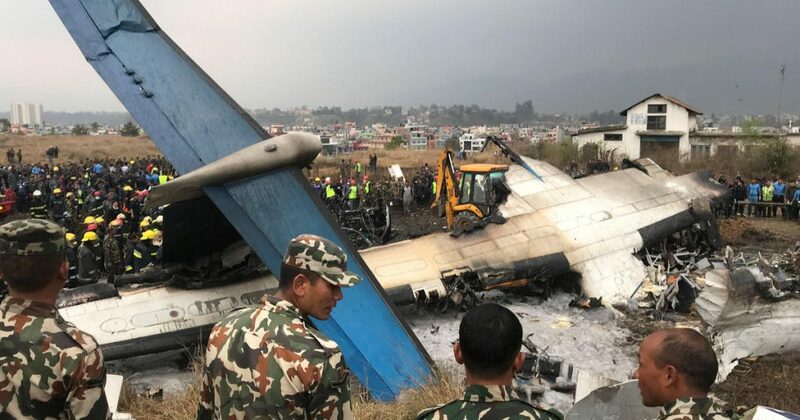 The Nepal Plane crash had mainly taken place after it had approached the runway from the wrong end.The plane had the permission to land from the southern side but instead landed from the northern side. The authorities were completely clueless as it to why the plane did land from the southern side.Both the recorders i.e cockpit and flight data recorder were recovered. 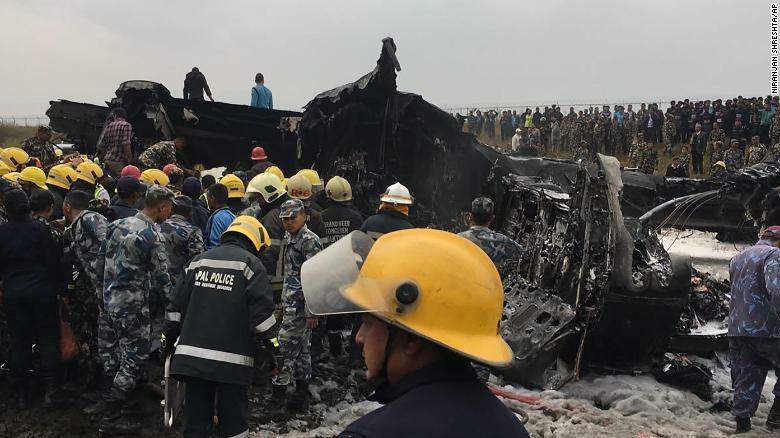 Some witnesses who were staying near the Kathmandu airport had seen the Nepal Plane crash on the land.They had seen clear sparks coming out at first and the next instance it went all burst. This plane was considered to be one of the most modern turboprop planes. Worst of all, there was a passenger who had explained the whole incident as she witnessed it and was a part of this deadly crash. She had said that the plane had shaken violently and after which there was a huge bang. I was seated near the window, because of which I was able to break out of the window. The bodies that were lying on the tarmac, covered with cloth were completely burned, witnesses said. Those that were on board include 12 Nepali tour agents who had been returning from a sales conference in Bangladesh. The Nepal plane crash that had happened on Monday was about 17 years old, which had descended to an airport altitude of 4,400 feet and then had climbed 6,600 feet before it had crashed that was almost about two minutes later. 48.4 Million dollars gift is what her father presented her – The worlds most costliest diamond ever.